Here is a shot with it all setup. It even includes its own colored backdrop. The material is felt on one side while the other is plastic. The felt side is the backdrop to use. 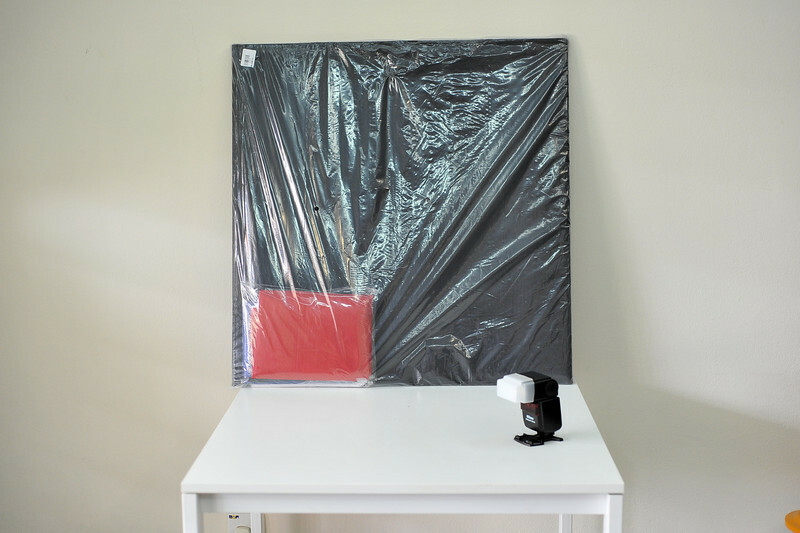 But there is one drawback, for some reason the manufacturer folded all the backdrops into compact square. I think rolling them all up into tubes would have been better because when you unwrap them after they have been folded, all the fold lines and wrinkles shows...the only way to solves this is to iron them out. But this itself present another problem. If you are not careful, you could ruin the felt side if the heat is too high (at least I think it would since I suspect the felt material is synthetic). 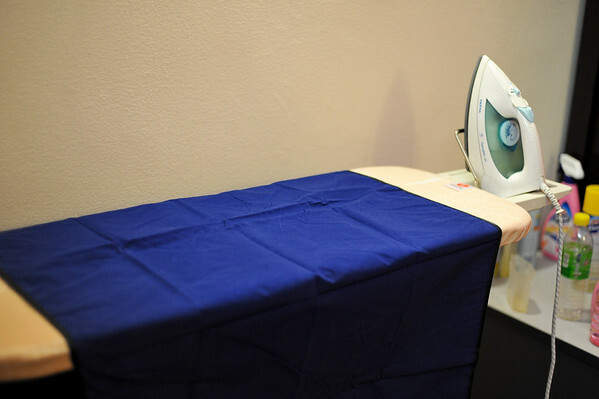 So take care when ironing them and afterwords store them into a tube or wrap them around a pole of sort to prevent wrinkles and fold lines. 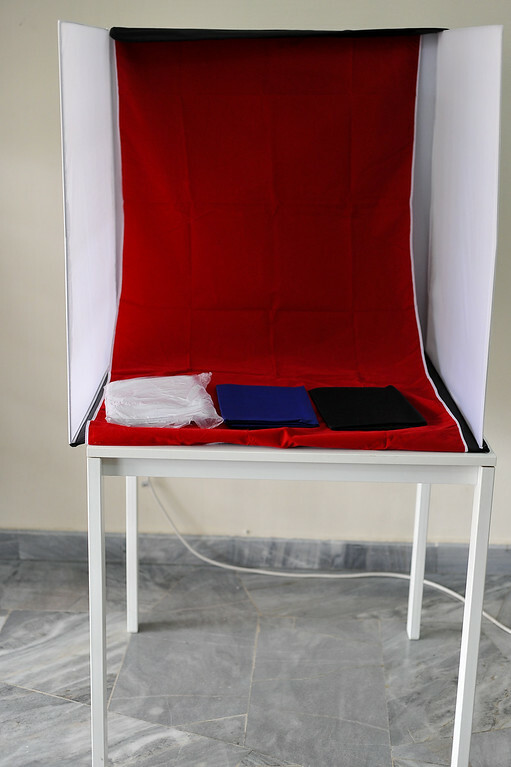 By the way, there are 4 different color backdrops, namely white which sealed in its own plastic bag, red , black and shown here, blue. Here are some of the shots using the red backdrop. I would prefer to use the navy blue backdrop with marbles I see frequently used by PVC companies to advertise their new figures. 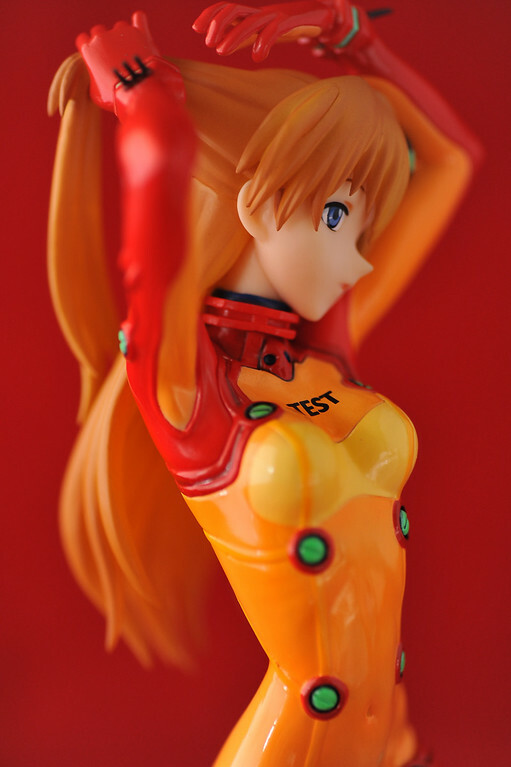 I also took this opportunity to review my Asuka figure from kotobukiya. I have to admit, its not as simple as it looks. Finding the right light power level just to get that nice soft shadow is still trial and error but at least this light tent makes it easier. So I guess the real question, is it worth the money? Yes for all the pitfalls, it works as it should and at a reasonable price. Although you could just make your own version with tracing paper and a big empty but this one has the advantage of a nice steel frame (yes, the frame is made with steel rods) though that makes it rather heavy. 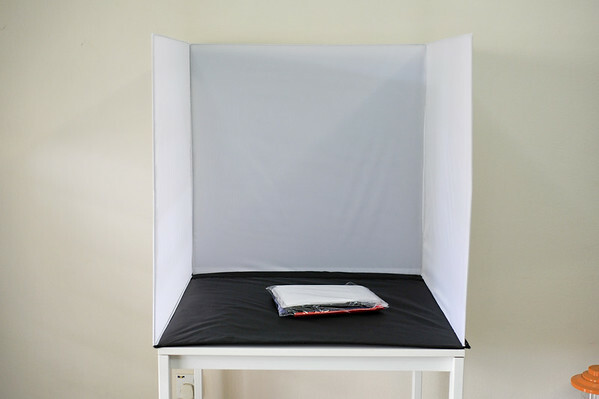 Though if you don't shoot that many subject that would benefit from a light tent then don't get it, you're better making one with a big empty box and tracing paper. For the rest of us, who do shoot shoot subject that would benefit such as macro photography and items then get it. It's worth the money. I always wondered what those things were called. I’ve seen people use them, so I decided to cut up a box and stick a figure in there to see what it does. My camera is just a simple point and shoot though, so I didn’t see any difference. 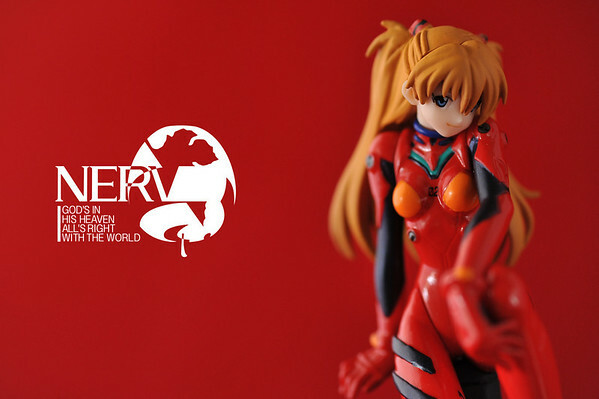 I like Asuka with the blue background better, the red just seems too red since her suit is red too.